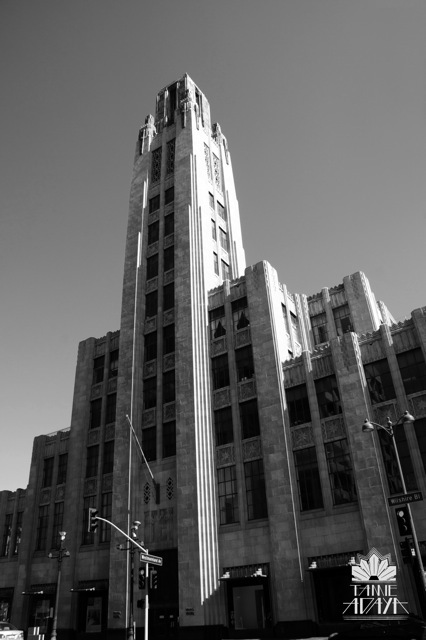 Los Angeles: Art Deco Mecca | HuffPost . \r\nthe art, fashion, and music that is Crown Jewels. \r\noperates the Santa Monica based artist collective Crown Jewels while simultaneously updating her popular blog TamieAdaya.com. Hotel Shangri-La frequently receives compliments on its unique and sublime architecture, but I think its fair to say that Los Angeles as a whole has made a very worthy contribution to the universally popular Art Deco style. Here are a few of my favorites I would like to share with you! 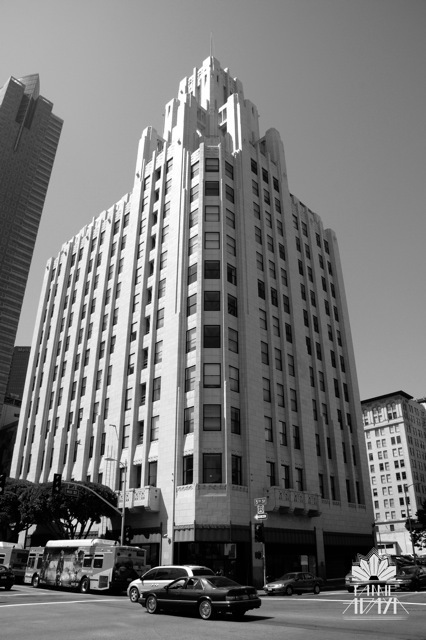 Southern California Edison Company Building (1931), now known as One Bunker Hill. 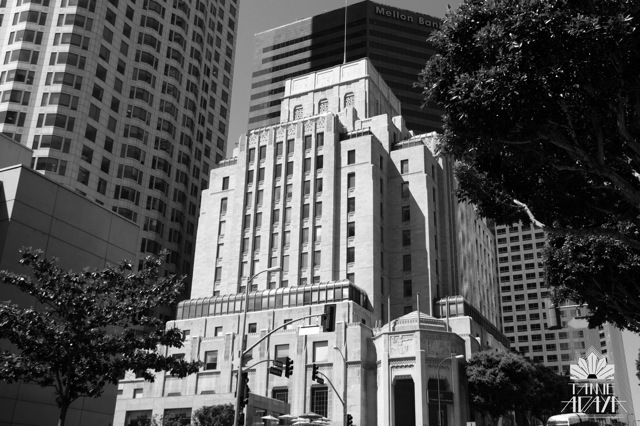 The Title Guarantee & Trust Building (1930) boasts art deco beauty, as does Los Angeles City Hall (1928) & Bullocks Wilshire (1929), the first Los Angeles based luxury department store. 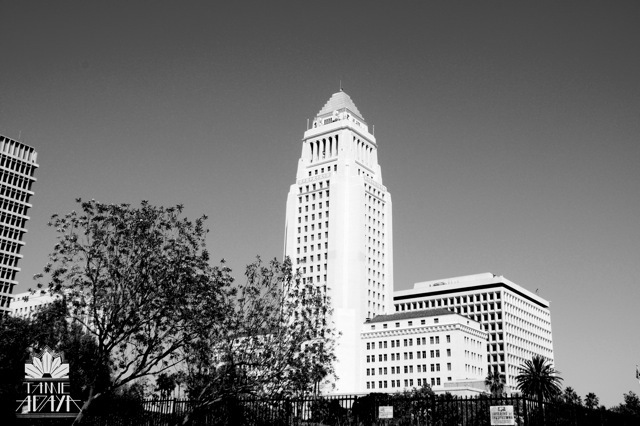 All three structures were designed by John & Donald Parkinson. 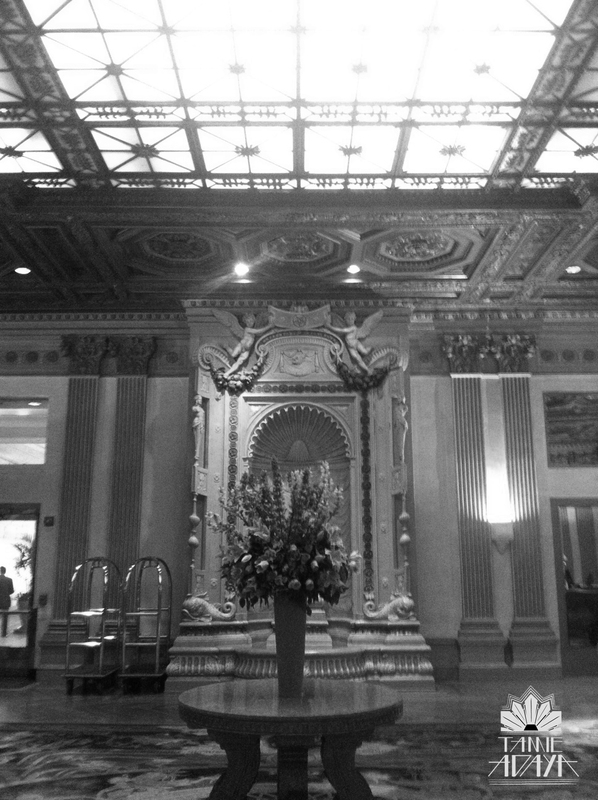 The Biltmore Hotel (1923), classically known as "The Host of the Coast," is truly an inspiring site and an iconic pre-cursor & blend between Art Deco and Beaux-arts. 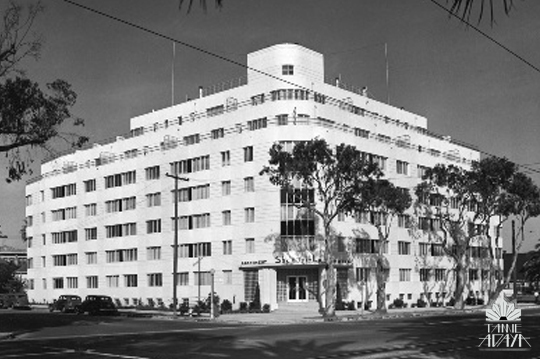 It was the first hotel commissioned for the newly founded architecture firm, Schultze & Weaver, who then went on to envision and design grand hotels such as The Pierre (1930) & Waldorf Astoria (1931). 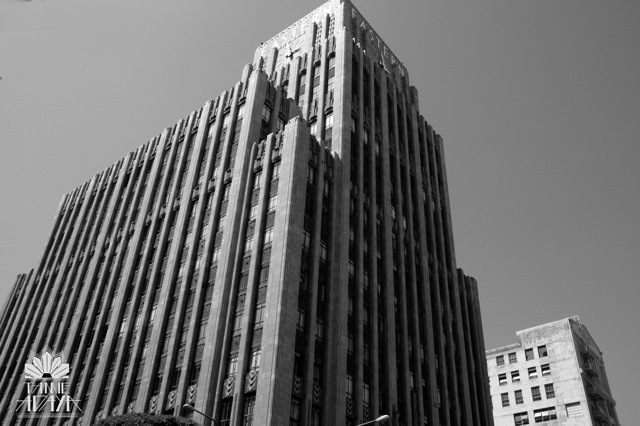 The Eastern Columbia Building (1930) was designed by Claud Beelman, became the headquarters of the Eastern & Columbia Outfitting companies, and is absolutely stunning. The building's alcoves and recessed spandrels heighten the vertical emphasis and the four-sided clock tower. 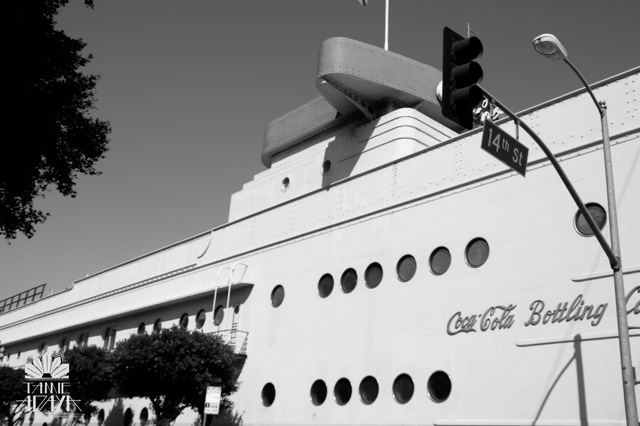 Robert V. Derrah's Coca-Cola Company Bottling headquarters (1936) is a stunning expression of Streamline Modern style, a later branch of the Art Deco movement, featuring curving forms, long horizontal lines, and nautical influence. The Miracle Mile strip was developed by A.W. Ross; his intent being to attract car traffic through scale, form, and facade. 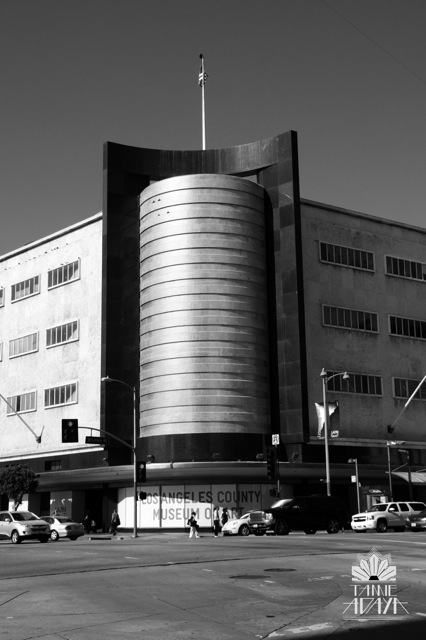 The May Co. Building, now LACMA West, is a great example of Ross' vision and a unique example of late Art Deco. 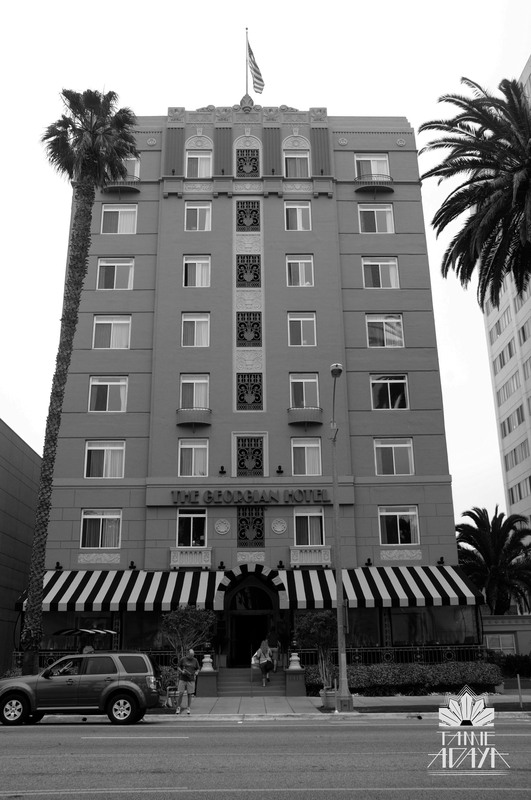 The Georgian Hotel (1933) maintains Art Deco features put forth by visionary Mrs. Borde. In an industry dominated by men, Mrs. Borde was revered & seen as a progressive marketer and entrepreneur. 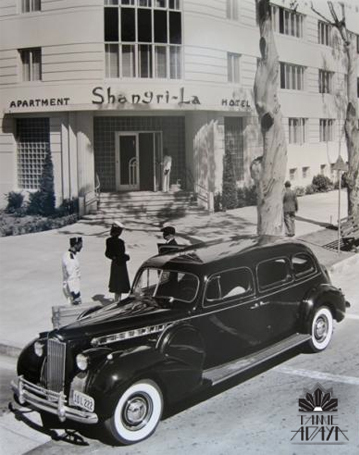 Inspired by the aforementioned Art Deco deities, the Hotel Shangri-La, designed by William Foster, has been overlooking the Pacific since 1939. 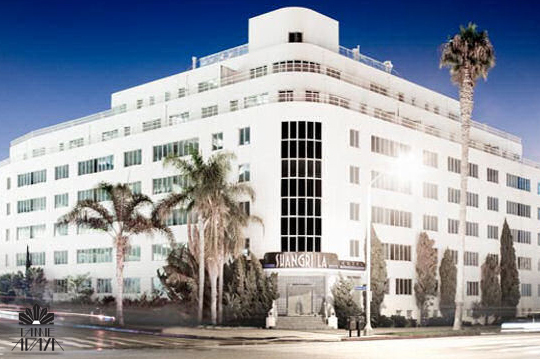 The Shangri-La is a striking beacon of Art Deco elegance, a chronicle of Old-Hollywood glamour, and a convergence of culture and sensuality.